Veneers will let you enjoy your dream smile in just two to three appointments. A smile makeover should reflect your personality and style, so the dentist will meet with you beforehand to discuss your preferences. Depending on your tastes and needs, your dentist will recommend custom veneers or Lumineers. 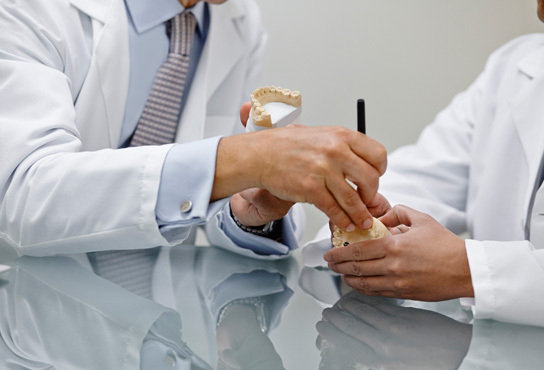 With custom porcelain veneers, a talented ceramist will handcraft thin shells of porcelain according to your cosmetic dentist’s specifications and your dental impressions. During your first appointment, the dentist will prepare your teeth for placement and take the impressions. Once our dentists receive your restorations, you will return so that we can cement your veneers in place. Yes, it’s that simple. Call for your smile makeover consultation at Osorio Dental Group.